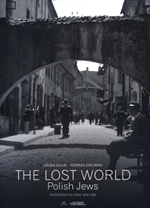 Not avoiding difficult and painful issues, we outline a multifaceted picture of the world of Polish Jews. The lost world. The world, the richness and variety of which we present in fragments which have been preserved in old photographs. We believe in the power of these photographs. We believe that they will enable us to take a journey in time and will help us to bring closer the lives of those who are their protagonists. There are ordinary and outstanding, rich and poor people among them. You will have an opportunity to look them in the eye, to cast a glance at their apartments, to observe them at work, to see how they live through joyful and troublesom moments. It is the picture captured shortly before the tragedy. Its protagonists are not aware yet that they and the world they live in will soon be destroyed. From among many thousands of scanned photographs we have selected several hundred. They have been taken by both renowned, the most outstanding photographers, and creators whose names have not been identified yet. We wished the photographs to be as precisely described as could be and everywhere where it was possible we have placed names of the protagonists of the photographs. It is crucial for them not to remain nameless.